Farm | Annie W. Metzler Insurance Agency, Inc.
Annie Metzler insurance offers policies from a variety of insurance providers to get you the best coverage available. However, we think our best asset is listening. Our experienced agents work with you to look for potential sources of loss, then develop policies to mitigate risks and protect your valuable assets. We don't just offer farm insurance policies. We work to protect you and your family now and in the years to come. 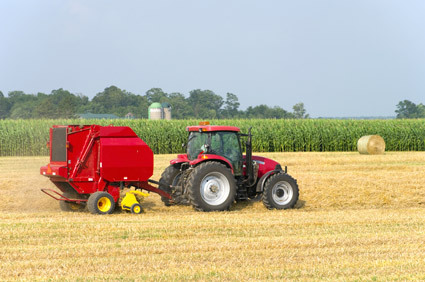 We offer crop insurance through several different companies. This is a valuable tool used by farmers to help protect against losses of both low crop process and/or low yields. Crop insurance is federally subsidized which helps to keep the cost more affordable. Put our experienced agents to work for you. 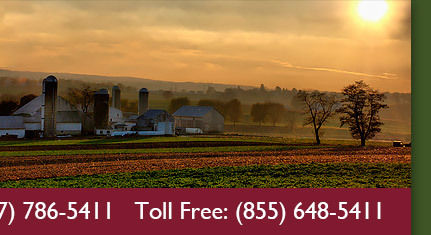 Call us today at (717) 786-5411 or toll free at (855) 648-5411 to talk about your farm and crop insurance needs.